3. Is the difficulty curve reasonable? Some games are easy, some are hard, some are brutal. Can you at least make it to the third stage? This can be a turn off if there is unreasonable difficulty. 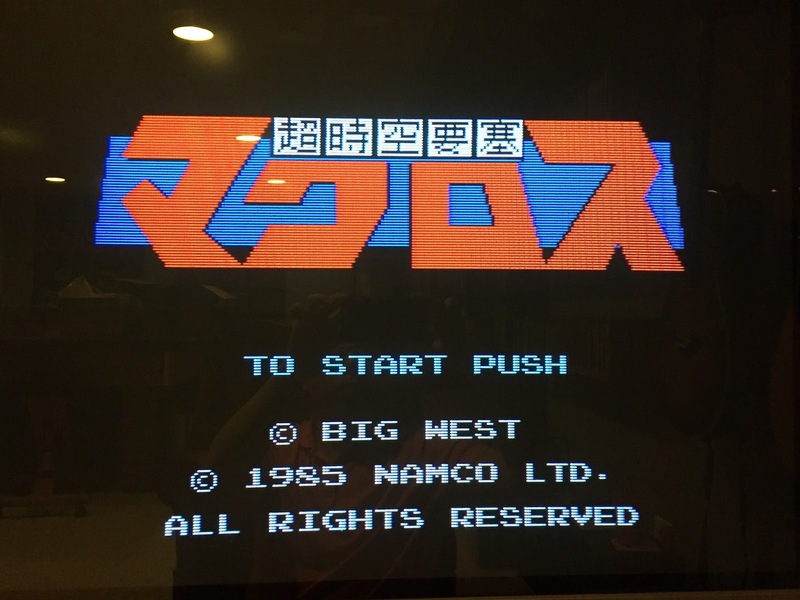 This was not a domestic release, but I'm using a famicom to NES converter to play this. As a kid, I was a huge Robotech fan. 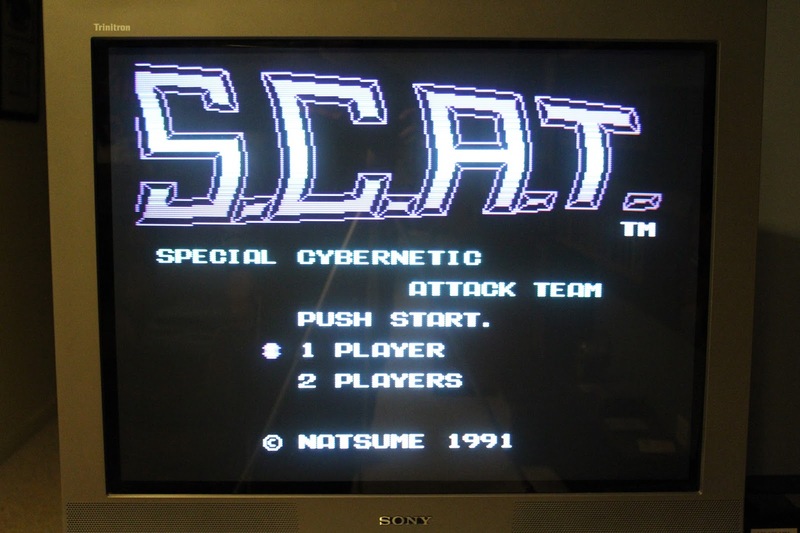 A friend of mine had this game, and I was fascinated at the sprites of the veritech fighter and its ability to transform. As an adult, I realize this is just licensed shovel ware. 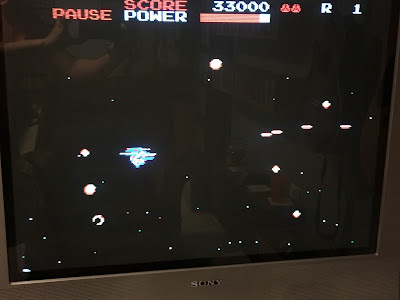 There is no depth to this game, every stage is practically the same: fly through space shooting Zentradi pods, enter mother ship, shoot Zentradi foot soldiers, destroy the core, and repeat. It seems unfinished. There are no power ups to speak of, other than the salvo of missiles that can be released by pressing select. The three veritech forms have different speeds, and I found the plane to be too fast to avoid objects and the battloid to be a sitting duck. There is one song that repeats over and over. The game only has four stages, which loop after completion. What a disappointment. 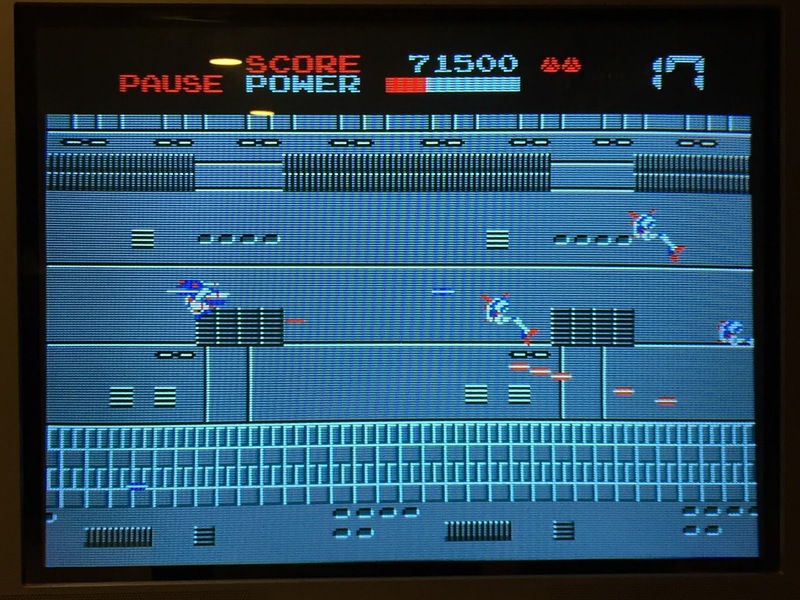 In this game you are a humanoid with a jetpack, firing either to the left or right with the b or a buttons, respectively. You fly through these caverns, and at the end you choose a path. The power ups are ok. The music is totally Capcom music; the not so good kind of Capcom music. 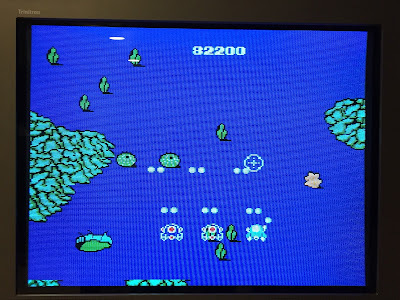 You have an energy meter, that can be refilled as you pick up capsules, and that helps, but the screen gets littered with enemy bullets fast, and some shot formations are hard to avoid. f you run into an enemy, you die. That was unusual, and did not help my opinion of this game. 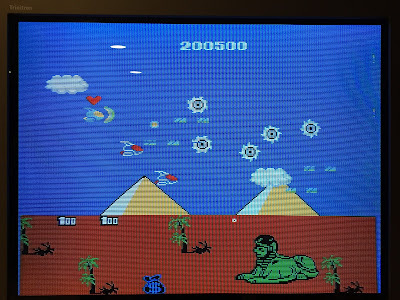 Another flying humanoid shooter, this game has some interesting biological themes to its stages, and graphics are decent. The player is SLOW, and that gives it an plodding and deliberate feel. The gameplay would be much better were it not for this. 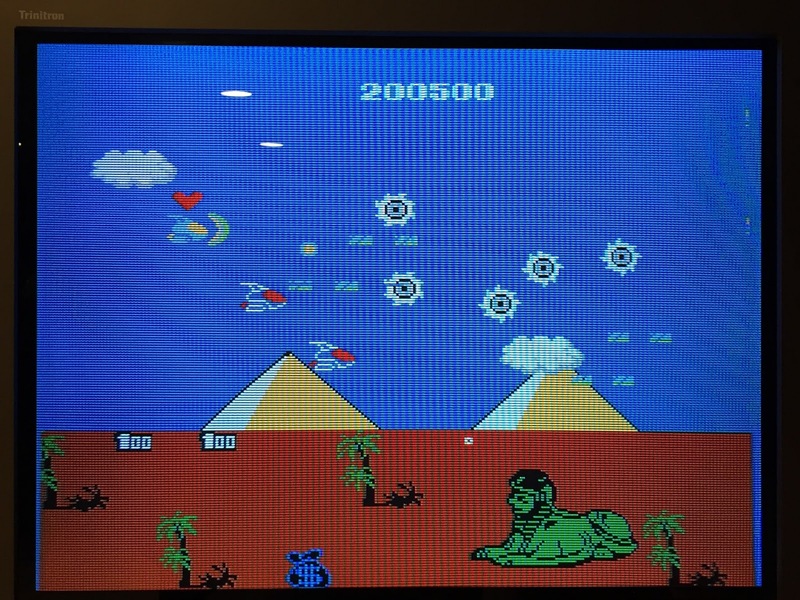 Yet another flying humanoid shooter, this game offers 8-way shooting, a pleasant feature. 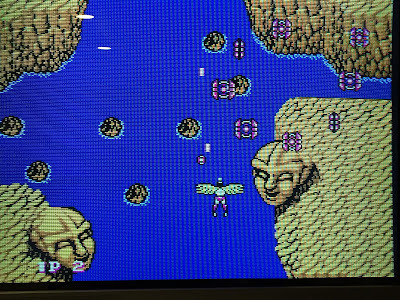 The enemies are interesting, even if they don't match the stage themes (flying skulls in space?). Its gun because of the increased control of firing direction. 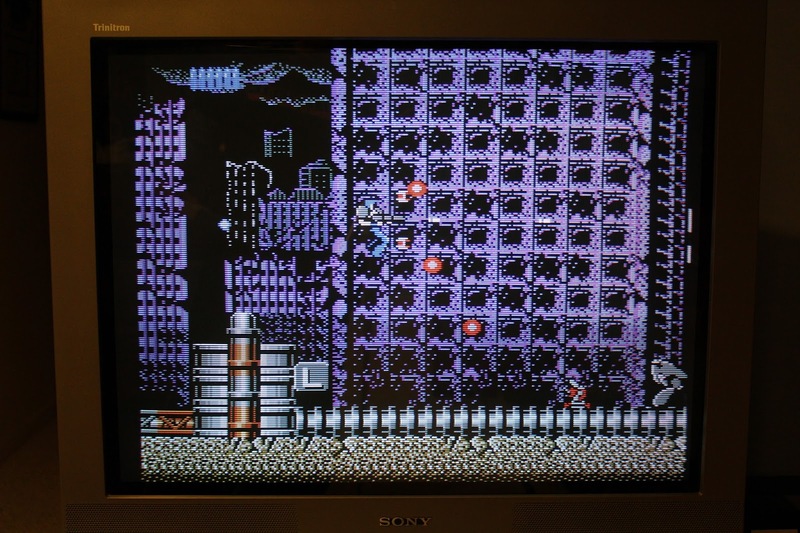 There weren't too many cooperative 2-player shooters in the NES era, but this is one of them. There are two planes to attack, the plane that you are flying on, and the ground plane which you can throw bombs at. There are some interesting visuals here, as it is loosely based on mythology (you know, angels with machine guns). The levels alternate between vertical and horizontal, but the horizontal stages feel like they were tacked on as an afterthought. 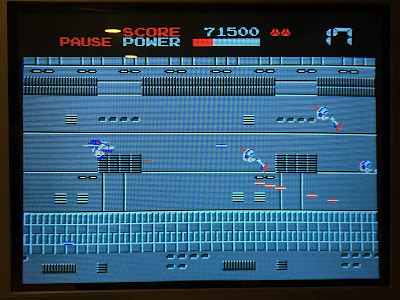 It pretty hard - I don't remember it being this difficult as a kid, but who knows. It's fun to play with a friend. This is one of the first "cute 'em up" games that I played. 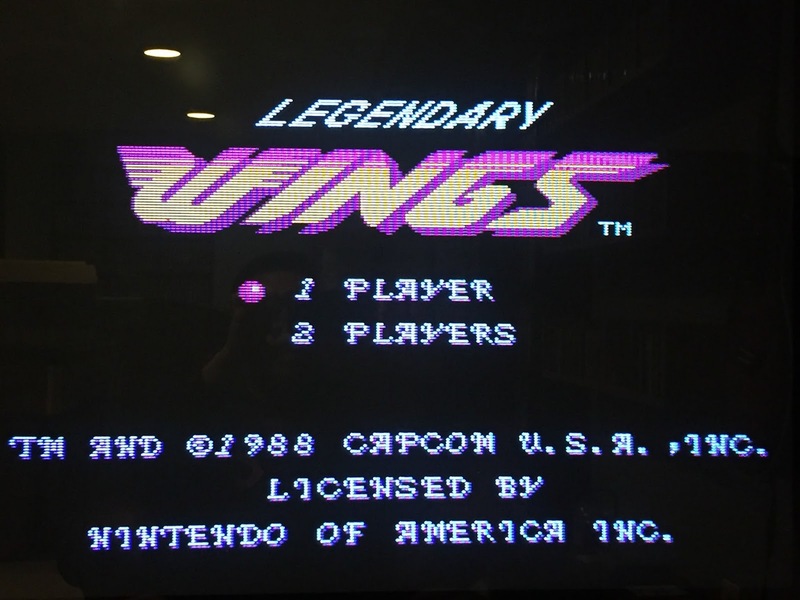 It alternates between horizontal and vertical, and that adds to the variety in gameplay. 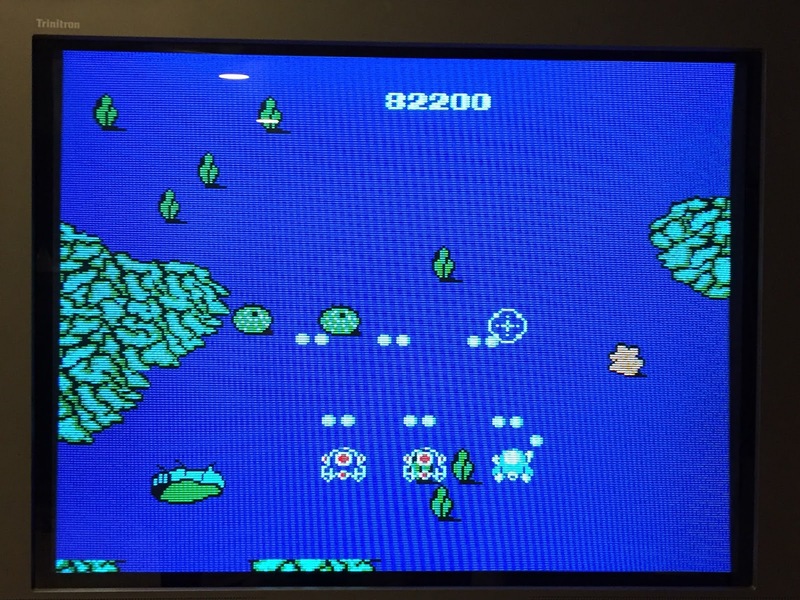 In vertical mode, there are two planes to attack on, with bombs dropped with the A button. This game is known for its power up bells. Shoot clouds to release bells, and if you continue to shoot them to juggle them, they change color. Grab the bells when they are a certain color and you will get various power ups. This is easier said than done, but once you do acquire a couple of power ups, the game is really fun. If you die and lose the options, you can grab your ghost and get them back - a nice touch. Given that this is a Konami game, the infamous Konami code works here. This game is pretty unique, in that while it has two player co-op, one player controls a helicopter and the other controls a jeep. This dichotomy in gameplay brings a fresh concept to a cluttered genre. A very cool game that's a blast to play with a friend. This game has some cool ideas going for it. You have two orb satellites, that fire and their angle is adjustable. The fire rate is slow until you power up. 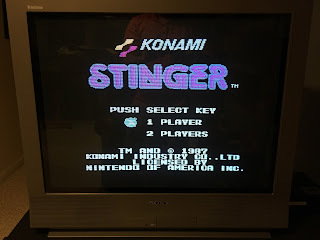 The graphics are pretty good for the NES, and so is the sound and music. 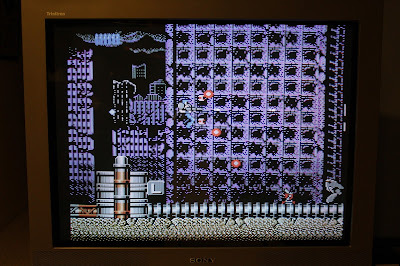 There are impressive voice samples to start the game off; I've never heard samples this clear on the NES. Maybe its me, but some of the sound effects sound like they're from a Konami game (good thing). The two player cop-op is a great feature. This game immediately reminds me of Forgotten Worlds; the background visuals, the overall theme and gameplay are all inspired by it. Again, a good thing. 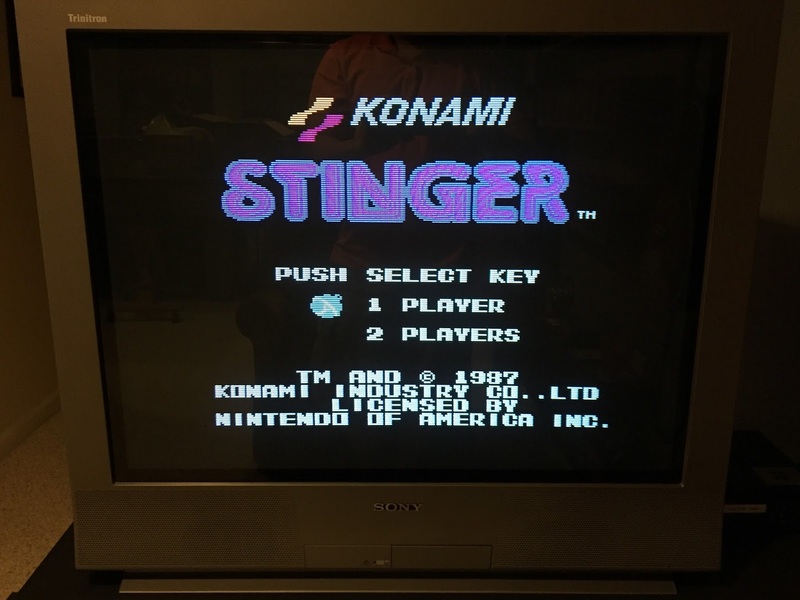 This is a parody of the Gradius series, with elements of Twin Bee (Stinger) thrown in. There are four characters to choose from: Vic Viper, Twin Bee, an Octopus, and a Penguin. 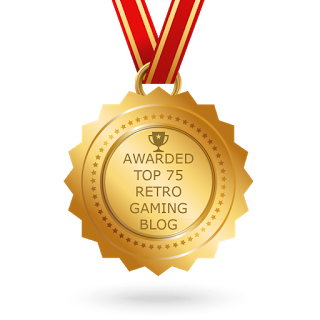 Each has its own power up weapon set, which adds to replay value. The power up meter works the same way as in Gradius, and there is also the bell power up system from Twin Bee, for further weapon variety. The stages and enemies are completely off the wall wacky, as is the music and sound effects. 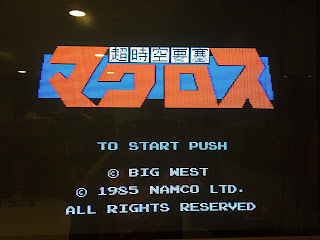 Its too bad this was not released in North America, as there were plenty of Gradius fans who would have appreciated it. 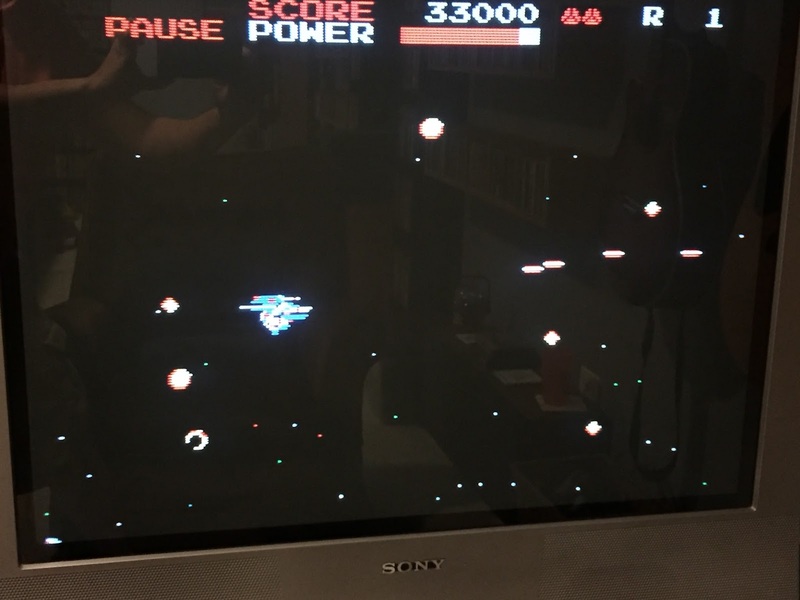 What needs to be said about Gradius? 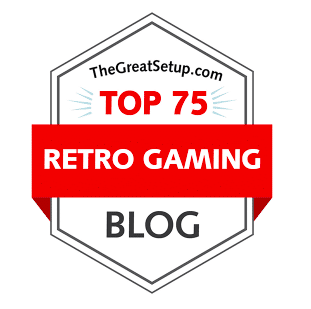 It was a seminal title for the genre, and spawned a series that has continued for generations. The power ups system of collection orange capsules to advance the weapon meter was genius, and everyone has their favorite combination. The iconic "option" weapons make their first appearance here, and since then they have influenced dozens of games. The feeling of confidence when fully powered up is euphoric, and is only equally matched by the letdown when you die and are set back utterly defenseless. The shudderingly slow speed that results from such a drop in power is often referred to as "Gradius syndrome". After this point, progressing is extremely difficult and frustrating, and some even give up or start over from the beginning. Regardless, it sets the bar for what to look for in a horizontal shooter. 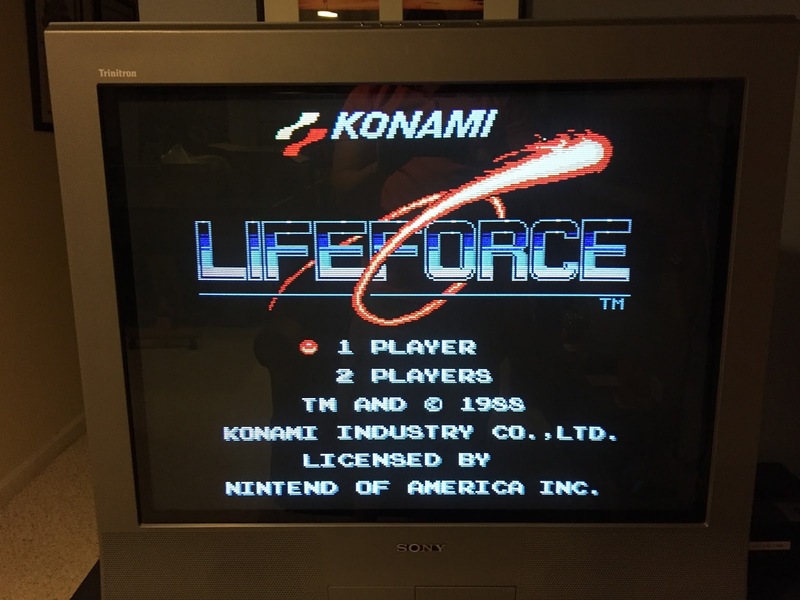 Life Force is horizontal and vertical scrolling game, with two-player co-op play. 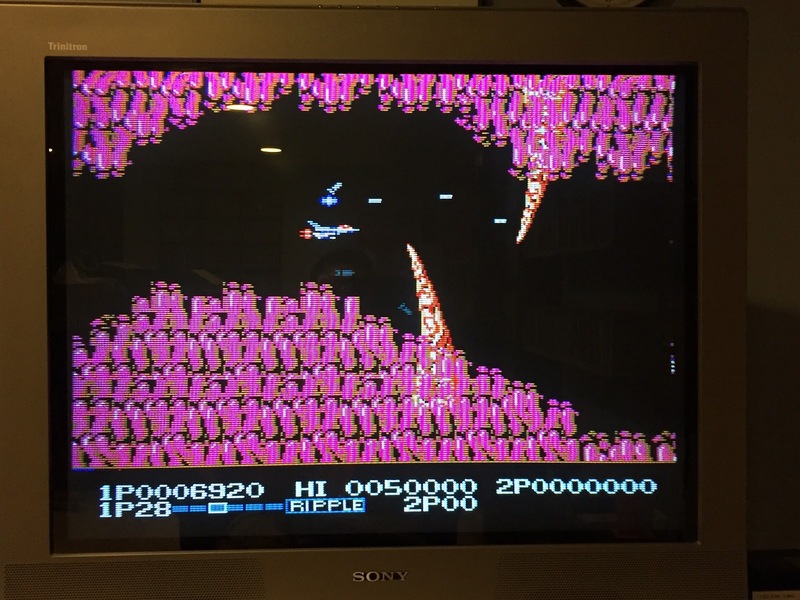 It is not actually a sequel to Gradius, as Gradius had a Japan-only sequel, but it may as well be since it is so close in gameplay. 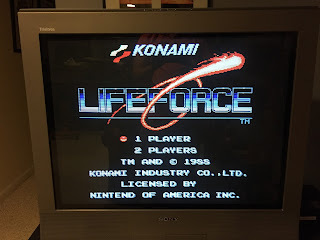 I would actually argue that Life Force is more playable. It just seems a tad more forgiving, and still offers a high challenge that is non deterring. 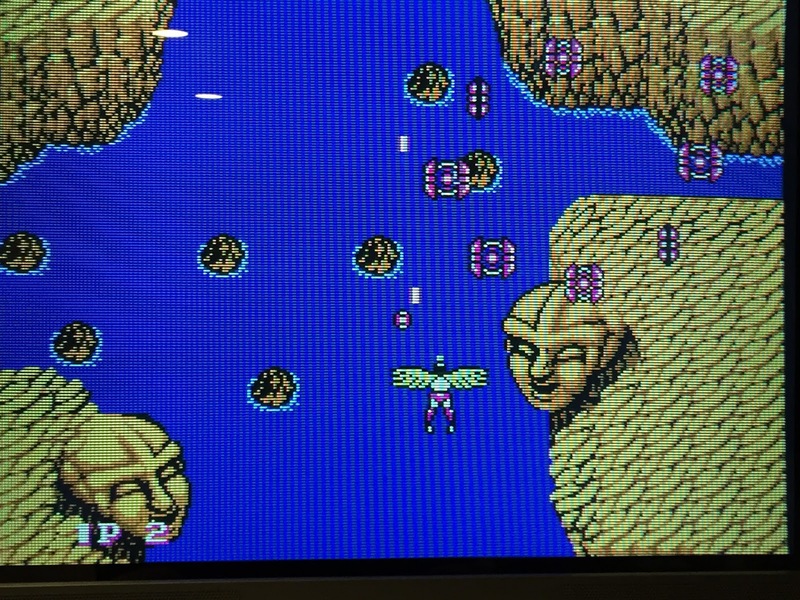 The graphical design is excellent, offering up some of the coolest sprite designs on the NES. 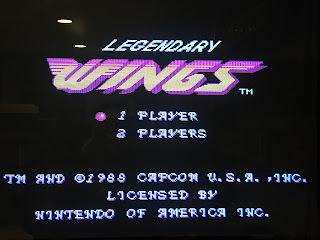 The music is excellent, perhaps being one of the best soundtracks on the NES as well. Of course, you can use the Konami code. One of the best.